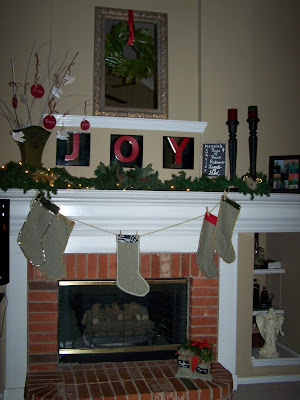 Well the Christmas Season has begun and I am feeling a wee bit cheerful! I have soooo many ideas for crafting and so little time. 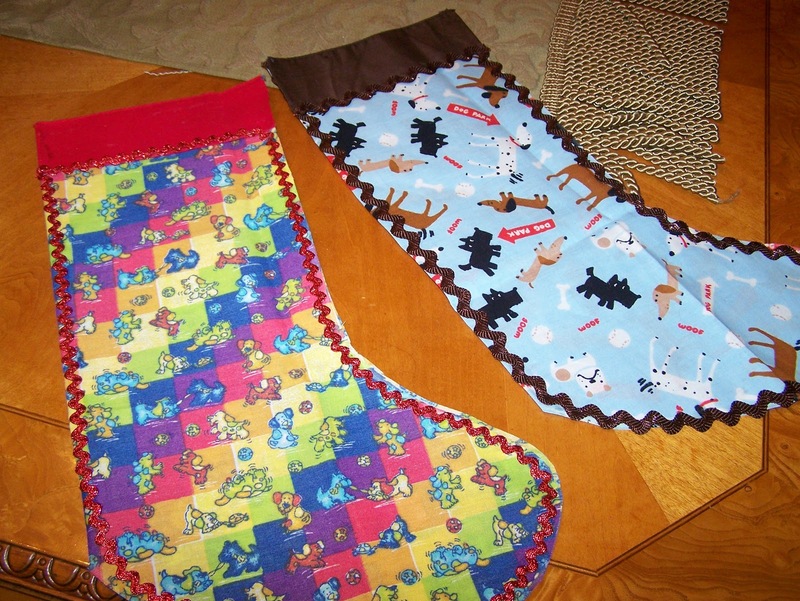 But one of the things I have been planning for a while is to make some new Christmas stockings. I went ahead and made some out of burlap. I took an old fabric stocking that belonged to aaron as a baby and used it as a template. But you can just draw one on a piece of paper if you wish as a template. 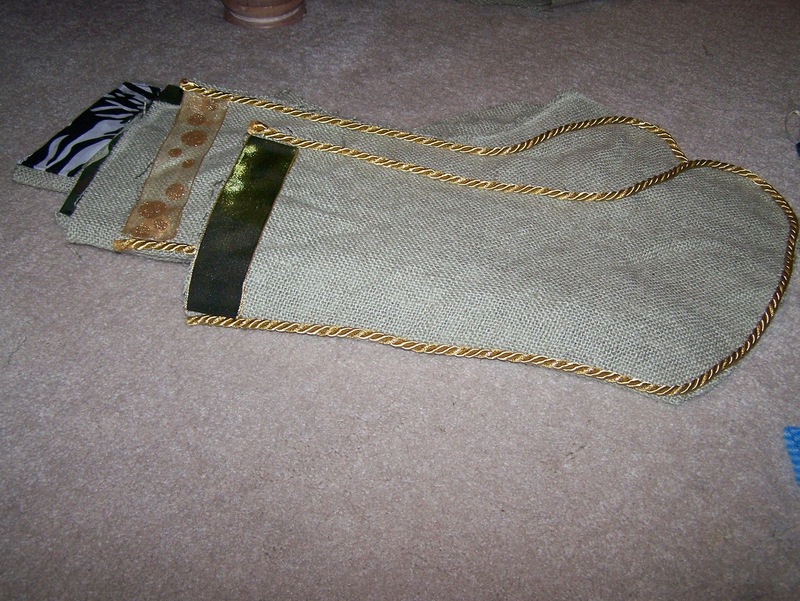 I then laid out my burlap, folded it in half and traced around the template with chalk. 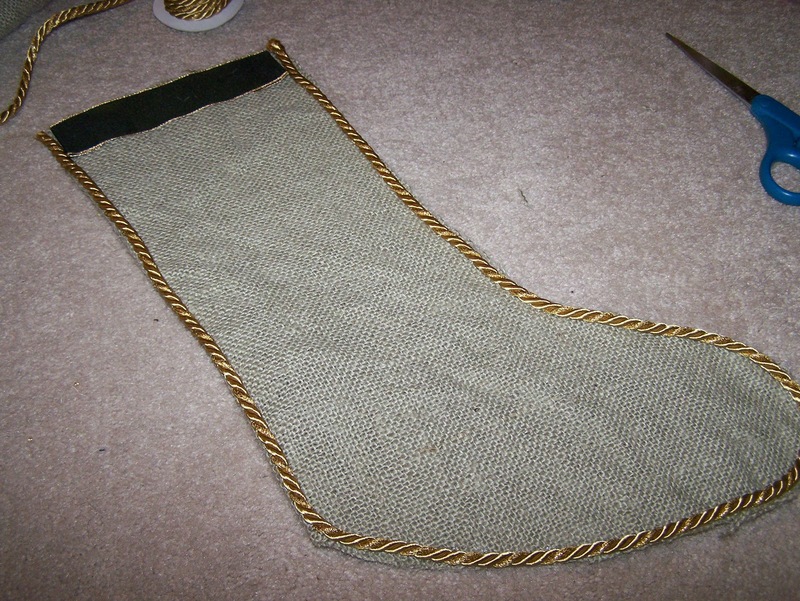 I made sure the fold would lay just at the edge of the stocking so all I had to do was glue the one side and the bottom of the stocking. Then I took my Mighty Mend It glue and glued the stocking together. Press for a few seconds and set it aside. Continue with the rest of the stockings. 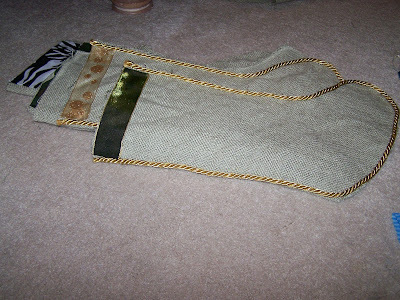 The 2 yards yielded 5 stockings and I had plenty of fabric left over for some other projects (see below). 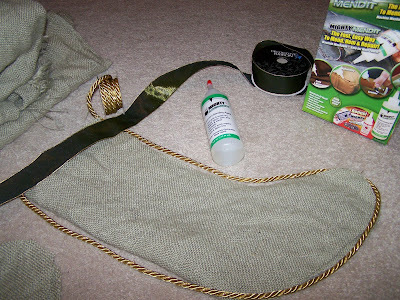 Then you take your wide ribbon and glue it to the top edge of the stocking. Take some cording and glue it all around so it adds some definition. 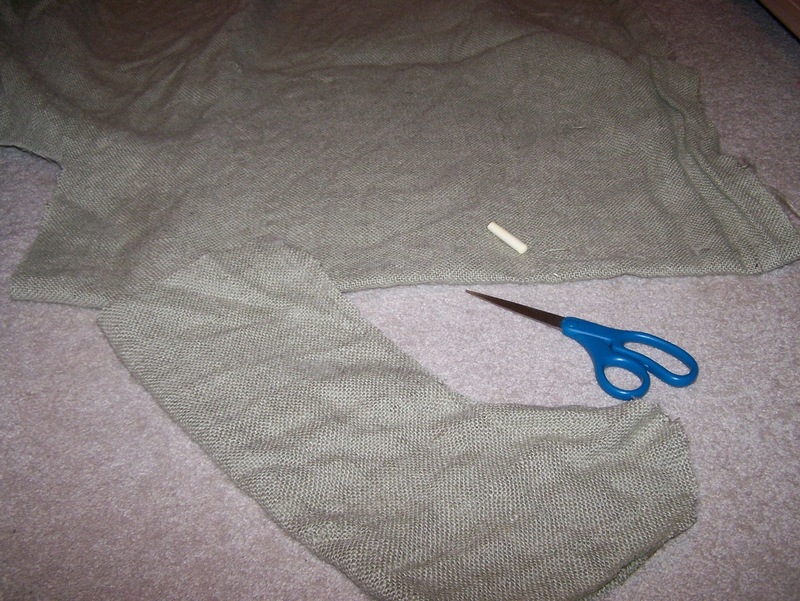 Make sure you continually wipe the tip of the Mighty Mend It bottle with a damp cloth to keep it from clogging. This thing binds very fast! I also made some for my two dogs, Molly and Wendy, out of some bandanas I bought at Hobby Lobby. These are super easy and strong enough to put stocking stuffers in. I then hung them from a rope with clothes pins. Super easy and pretty. You can embellish to your hearts content. Nice idea! Love the contrast of the burlap and the glitzy trims!